CORRY, Pa. — Four young cows are now safe after being dumped on the Southern Tier Expressway on Tuesday. 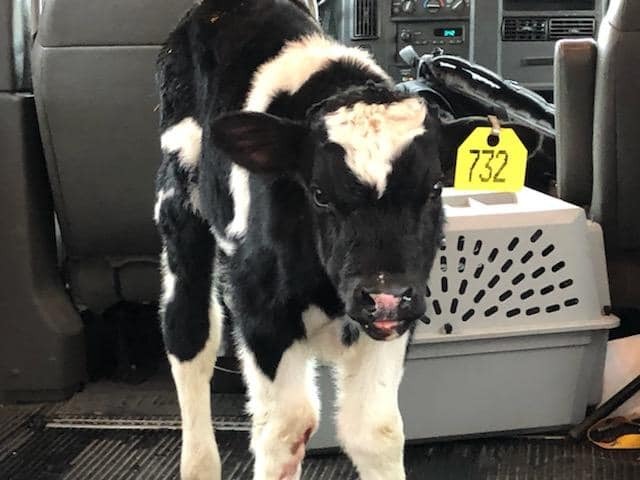 Five calves were originally found wandering in the westbound lanes of Interstate 86 near Sherman after falling off the back of a cattle truck reportedly driving 70 mph. The truck was traveling from Ripley to a veal packing plant in Ohio. Other calves have also been reported to have escaped in Pennsylvania and Ohio. Three were found near Erie, Pa. The total number of calves that are believed to have escaped from the truck is 15. Upon being found the five calves were taken to the ANNA Wellness shelter in Corry, Pa. According to veterinarian Dr. Lyon Windell, this incident has been the worst case of farm stock loss he’s ever seen. 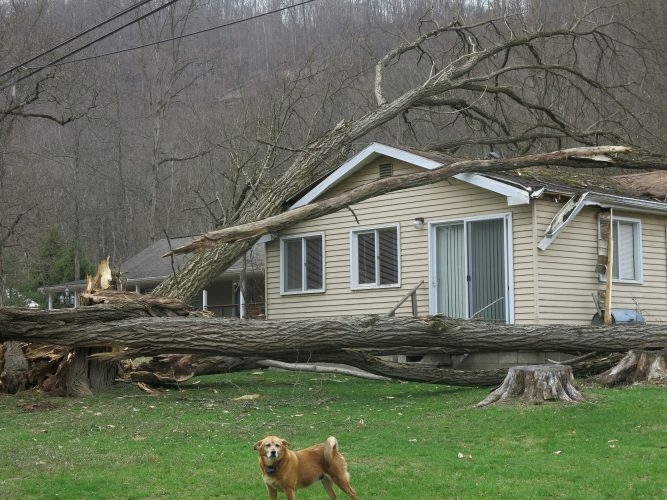 “I have been on cases of animals falling through rotten trailer floors, but I have never seen anything of this magnitude,” Windell said. Windell said the majority of the animals suffered minor injuries upon escaping the truck. Among them were road rash and various cuts and bruises. Unfortunately, one calf had to be euthanized due to a broken leg that the animal received upon impact. “It was too badly injured and it had to be put down,” Windell said. Upon being triaged and cared for by Windell, the four remaining calves were taken to a dairy farm in Wattsburg, Pa. Windell said it’s unlikely any more calves will be found alive. “Judging by the temperature, the conditions and length of time they have been exposed to the elements I doubt that any remaining calves have survived by now,” Windell said. Windell cited that he was called to perform a post-mortem analysis of a calf on Tuesday.